Our desire is to make a difference to the politics of the state by actively engaging in the perspective building of political manifestos in the coming elections of the state and later aim at working with the state and its agencies in shaping the governance structures. We intend to have quarterly, department-wise interactions with the elected government to follow-up on the promises made by the winning party and the commitments made on our manifesto. The recommendations that have been raised have been taken from critically viewing the development of the state over the last five years as well as in the past years. 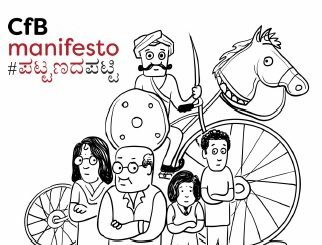 We herewith request you to include our following demands in your manifestos for the coming Karnataka Assembly Elections in 2018. Once you are elected to the Assembly, whenever you get an opportunity to participate in constitutional bodies and take decisions regarding the development of Karnataka, we request you to include our demands and take decisions in favour of them. All basic rights and entitlements, such as food, water, child care, education, health, employment and social security should be universalised. These should be delivered by the state machinery ensuring universal access, availability and affordability and not privatised. The budgets required for universalising these should be estimated realistically, earmarked and implemented through a law within time-frames, and not merely through schemes or sub-plans. State government should scrap forthwith unreasonable subsidies, tax waivers and tax exemptions to corporate and business establishments, private educational institutions (excluding aided and minority institutions who do not charge a fee) and health care institutions. The State government should also pressurise the Centre to do the same. SAKALA scheme should be effectively enforced. Officials bypassing SAKALA for delivery of services should be penalized. A Bill to provide “Responsible Governance”, including citizens’ Rights to Information, Right to Pre-legislative Consultation, Right to Time-bound Grievance Redressal, Right to Hearing and Right to Social Audit should be passed at the earliest. Community monitoring groups need to be set up for each of these entitlements; or where these already exist (such as vigilance committees for ration shops, Arogya Raksha Samiti’s for hospitals, SDMCs in schools, Bala Vikas Samiti’s for anganawadis) they need to be activated and strengthened. Social audits and performance appraisal of officials by the community is needed to fix their accountability. The Lokayukta should be strengthened by giving it the powers that it has been demanding to initiate suo motu action against officials and elected representatives without having to seek permission from government. There should be Right to our own development, referendum on policies meant for people, especially related to the environment, dalits and women; transparency before people courts every month; and a Right to Recall. Poverty line based on income criteria in various departments, such as Revenue, Social Welfare, etc. are still at absurd levels of around Rs. 12,000 and Rs. 18,000 annual household income levels for rural and urban areas respectively. These income criteria for BPL, where used, are not indexed to rise in cost of living. Several genuinely poor are hence falling through the gaps. There is no uniformity between departments on the criteria for determining who is poor. The correct implementation of all government programmes and schemes depends on accurate identification of beneficiaries. Poverty criteria need to be based on the new multi-dimensional concepts of poverty, incorporating locational, social and occupational vulnerabilities. Everyone living in a slum, notified or non-notified, single women-headed households, households with a person with disabilities, unskilled labourers should be brought under the BPL category. Further the definition of poverty cannot change from one department to the other. Where there is a need for fixing a poverty line based on income to establish eligibility for any benefits, a common poverty line should be adopted by all departments. The income level for deciding poverty line should be fixed at a minimum of Rs. 10,000 per month per household, or Rs 1,20,000 annual income per household. This poverty line should be indexed to the rise in cost of living. BPL lists should be drawn from the Socio-Educational Caste Census data already available and these need to be publicised on websites and at every GP/ward level. This list should be used for deciding all beneficiary schemes. The list of beneficiaries under various schemes should also be publicized at GP/Ward level. Massive community awareness programmes are needed on various schemes and entitlements of the poor. Urban citizens, especially the urban poor, are even more deprived than the rural citizens in terms of degree of participation in governance due to the ineffective implementation of the 74th Constitutional Amendment. Due to the increase in land prices of urban land, forced evictions of the urban poor is taking place at an unprecedented level. Conditionalities that were to be met under JNNURM and Rajiv Awas Yojana in making cities slum-free have been ignored. Instead, urban development has come to mean making cities attractive for large corporate and global investors through mega infrastructure projects. 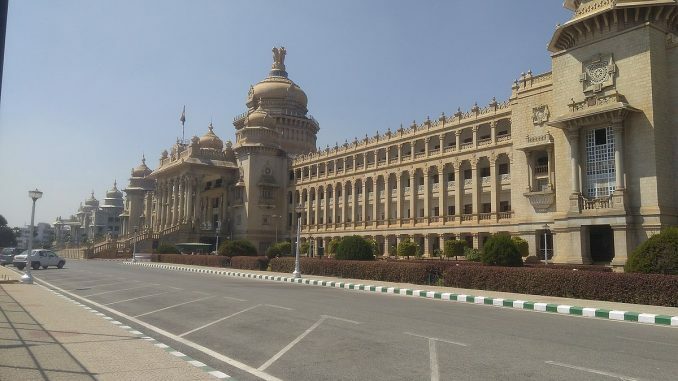 Ward committees have not even been set up in all the municipal corporations of Karnataka and Area Sabhas have not been notified in any municipal corporation, including Bengaluru, which is a gross violation of the provisions of the 74th CA and the KMC Amdt. Act 3 of 2011. Ward committee members are being nominated in the most arbitrary fashion. Guidelines on the procedure for nomination and the selection/rejection criteria need to be framed. The 3Fs, funds, functions and functionaries of the 18 functions devolved to urban local self-governments are only on paper. Many of the functions, such as urban planning, slum upgradation, water supply, etc., are still implemented by parastatals, which are accountable to the state government and not accountable to the urban local self-governments. Basic needs of citizens, such as the PDS, anganawadis, primary education and primary health care are still in the hands of the state government and not devolved to the urban LSGs. The Metropolitan Planning Committee for Bengaluru is dysfunctional and disempowered while the parastatal, BDA, continues to prepare the Master Plan for Bengaluru. The State Election Commission is disempowered as the power to notify the elections, delimit wards and decide the reservation roster are in the hands of the State government. The recommendations for devolution of funds to urban local self-governments by the State Finance Commissions are not commensurate with the functions to be performed by ULBs and even their meagre recommendations are not fulfilled by the state government. The 74th Constitutional Amendment needs to be implemented in its true spirit by enabling urban local bodies to function as genuine local self-governments through proper devolution of funds, functions and functionaries. A committee should be set up with civil society representation to suggest amendments to the conformity legislation of the State under the 74th CA on the lines of the one that was set up for the Panchayat Raj Act. The Community Participation Law (Amendment brought to KMC Act in Jan 2011) needs to be amended to bring in genuine people’s participation through elected Area Sabha Representatives who sit on ward committees. The law should be amended to frame guidelines and procedures for electing/selecting the area sabha representatives and the ward committee members without leading to favouritism and nepotism in their formation. Veto powers to councillors on ward committee decisions need to be removed. 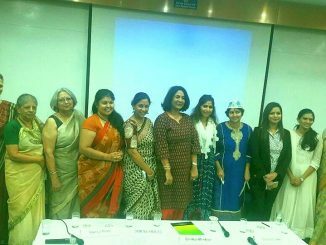 Devolve 3Fs – funds, functions and functionaries – dealing with Food security Early Childhood Care & Education (ECCD) of 0-6 year-old children, primary health, primary education, slum development, poverty alleviation and labour law implementation to urban local bodies. Transfer powers from State government to the State Election Commission to determine ward boundaries, rotation of reservations and notify regular elections. Evolve formula for sharing of taxes between the State and ULBs commensurate with functions devolved to ULBs. Create land bank and fulfil promise to make slum-free cities and provide title-deeds to all slum-dwellers. All ward plans and budgets and Master Plan inputs should be drawn through a bottom-up process of planning through the Area Sabhas and consolidated at ward and city level. Area Sabhas should be empowered to conduct social audits. Ward Committees should be constituted in all municipal corporations within one month of announcement of results of ULB elections. The Metropolitan Planning Committee set up for Bangalore as mandated by the 74th CA and as directed by the High Court of Karnataka needs to be made functional. It should be the only body to prepare the Master Plan for Bengaluru and not the BDA or local/foreign consultants. The current Draft Master Plan prepared by BDA through foreign consultants should be scrapped and a fresh Master Plan prepared by MPC. Ensure that the development works are in compliance with the laws viz. Karnataka Town and Country Planning Act, Karnataka Tree Preservation Act, Karnataka Municipal Corporation Act, etc. and mandatorily involve public consultation (especially in urban areas) as ordered by the High Court of Karnataka (WP 13241/2009). Bodies which give power to corporate bodies to influence laws and policies and projects need to be only advisory in nature and they should have no powers to interfere in functions of the executive and local self-governments. Elected bodies should not be allowed to be influenced by corporate lobbies and vested interests. Construct workers’ colonies and day-care centres for 0-6 year-old children in all wards using resources of Building & Other Construction Workers’ Welfare Fund. Shelters for the urban homeless per one lakh population should be constructed as per SC guidelines to prevent homelessness and people sleeping under fly-overs, on pavements, etc. The party in power should commit to budget accountability and transparency. Make budget documents that are easily understood and accessible by the citizens for whom they are intended – such as the Pre-Budget Statement and Economic Surveys, the Executive’s Budget Proposal, the Enacted Budget, Year-End Reports, Reports of the Public Accounts Committees and Audit Reports of the CAG. Take steps towards people’s participation in the budget preparation process as per the Karnataka Local Fund Authorities’ Fiscal Responsibility Act and strengthen people’s monitoring mechanisms. Releasing budget status information every quarter for all welfare schemes: allocation, release and expenditure information along with progress indicators. This was shared by Kathyayini Chamaraj of CIVIC, and published as it is. Political parties are busy drafting their manifestos. But what do people of Bengaluru want from the government? Here’s a wishlist. Dear MP candidates, what will you do to make Bangalore fire-safe? Bangalore has 440 high rise buildings in all, but the number of aerial ladders available is disproportional to this number. What can MPs do?